"It was an awesome hotel." 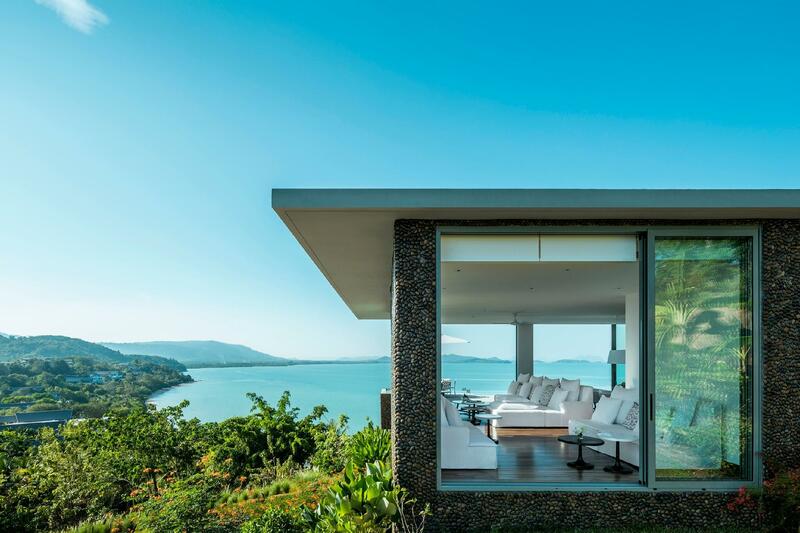 Have a question for COMO Point Yamu, Phuket? "Amazing and top notch service, one of the best." "Good spread for breakfast buffet and best salad bar." "The villa stay was an outstanding experience." "Totally amazing stay with COMO." 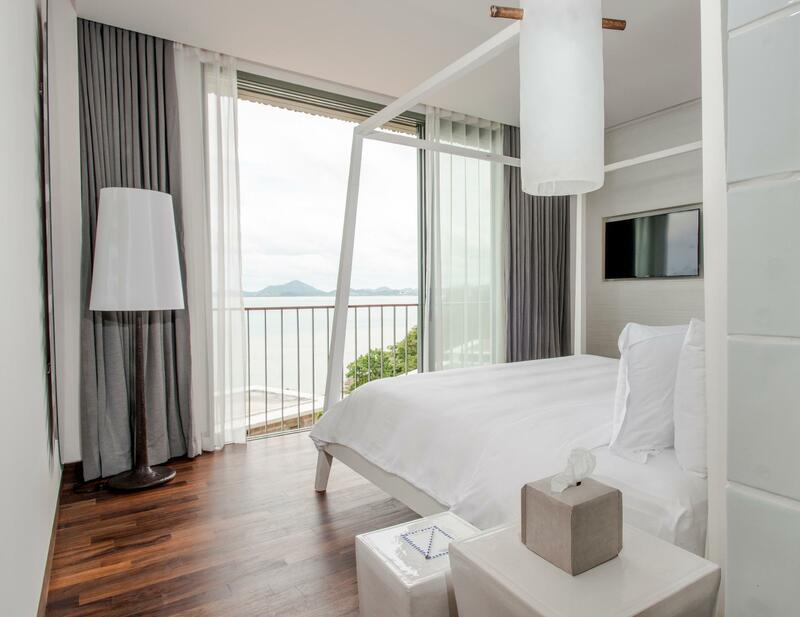 Vacation in style and comfort at the luxurious COMO Point Yamu, Phuket. Rated 5 stars, the hotel is perfect for experiencing the utmost comfort and luxury. It has numerous convenient features, such as safety deposit boxes, a currency exchange, a laundromat, shops, as well as a shrine. 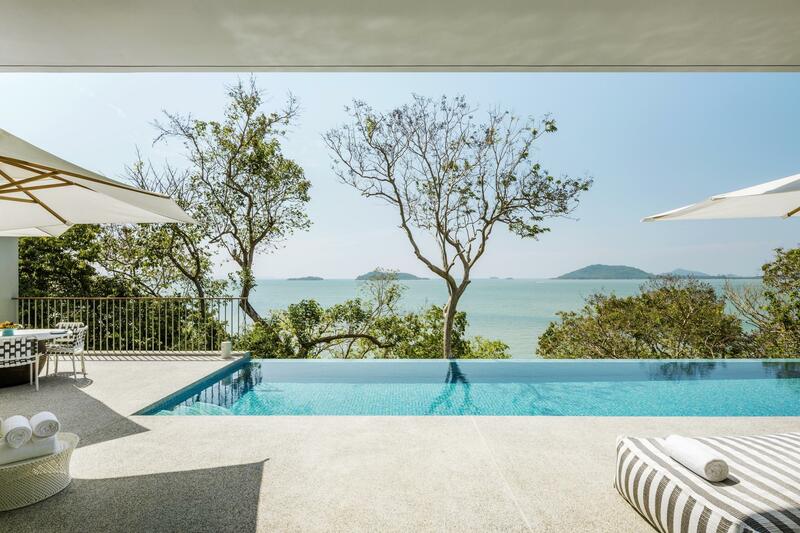 The COMO Point Yamu, Phuket offers sea views, so you can experience the peaceful sounds of the water as you close your eyes after a day out. It is near Wat Sophon Wanaram, Rang Noi Island, Rang Yai Island, Royal Phuket Marina, and Coconut Island (Maphrao Yai Island). 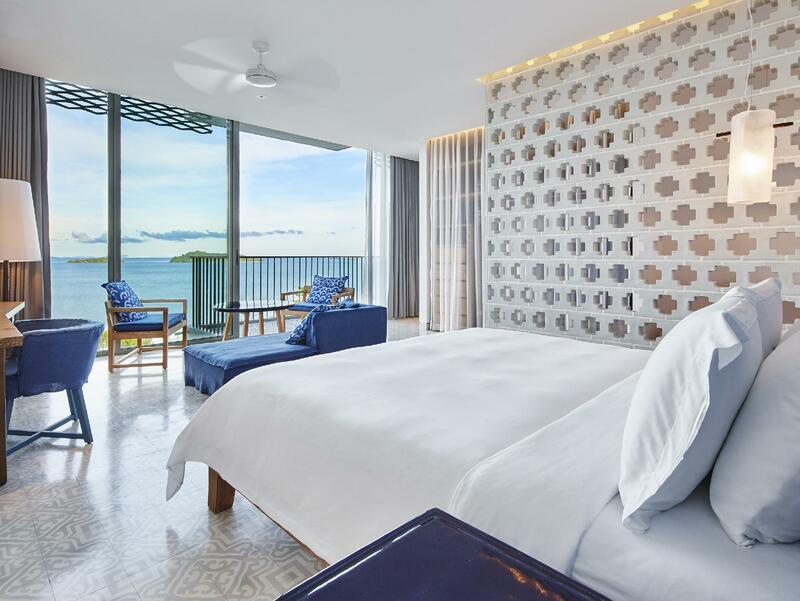 With a concierge, daily housekeeping, and a babysitting service, the COMO Point Yamu, Phuket has a range of useful services for guests to utilize. Offering guided tours, this hotel is the perfect place to stay to learn about your surroundings and see everything you can while you're here. It offers access to canoeing, so you can go for a beautiful ride and see the stunning landscapes. The COMO Point Yamu, Phuket is located at a great spot for snorkeling, so you can swim with beautiful marine life and enjoy the underwater scenery. It offers various transportation options, such as airport transfers, bicycle rentals, car rentals, and taxi services, getting you that much closer to all there is to explore in Phuket. With a bar, a grocery delivery service, room service, BBQ facilities, and a poolside bar, it offers a range of dining and snacking options. 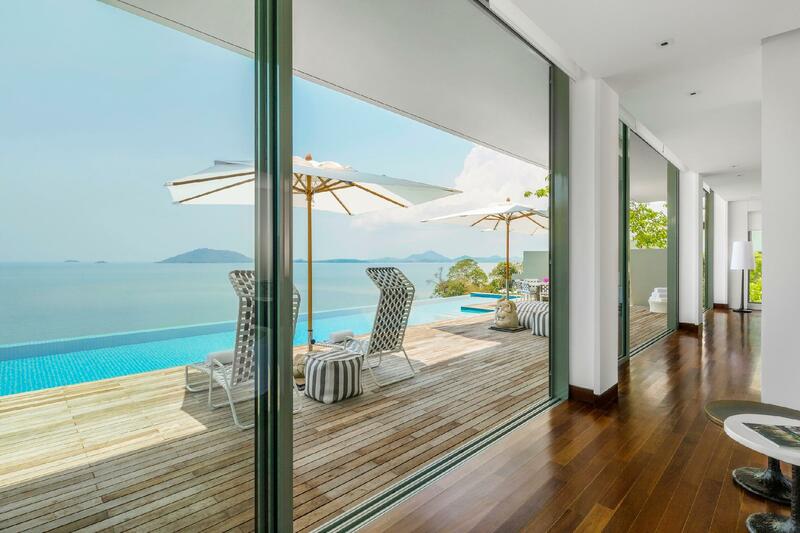 Featuring a kids club, the COMO Point Yamu, Phuket offers parents a fun and safe childcare resource. The hotel features a kids swimming pool, so your children can enjoy numerous water activities without bothering other adult guests. It also offers family rooms and a playground, so you can be sure that the kids will be kept entertained throughout your visit. It has free Wi-Fi in all rooms, in addition to Wi-Fi in common areas, so you don't have to worry about a local sim card while abroad. 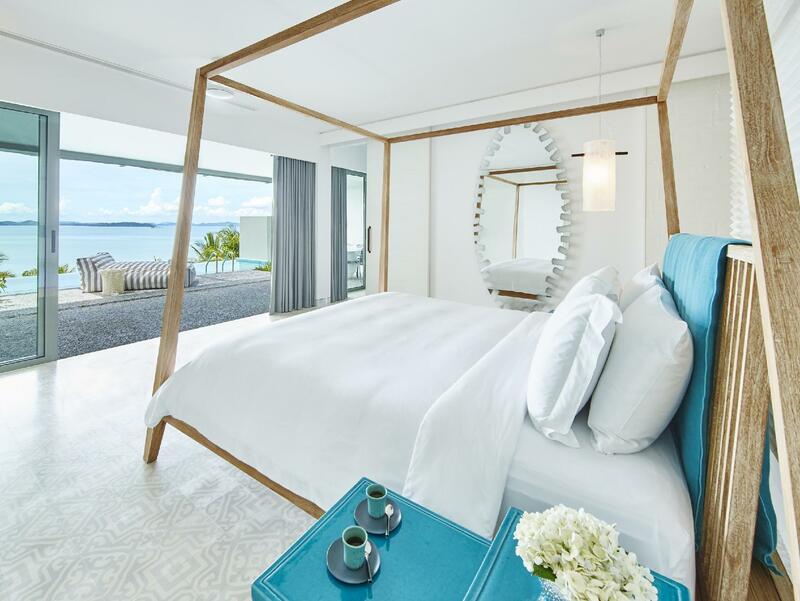 The COMO Point Yamu, Phuket provides a 24-hour check in and check out service, allowing you to arrive at an hour that is best for you. Providing around-the-clock front desk services, it guarantees that there is always a member of staff on call to help you with any questions at all hours of the day or night. With pet-friendly facilities, it is suitable for visitors who can't bear to be away from their pets. Phuket Bus Terminal 2 is 8.2 km away. The nearest airports are Phuket International Airport (HKT) and Krabi International Airport (KBV), which are situated 18.5 km and 62.5 km away. "What I loved about this hotel is the airy design and spectac..."
- Free roundtrip airport transfer. Guests are required to inform the property of their flight details in advance upon booking. Como Yamu is one of the best wellness retreat hotel. The view of every corner of the hotel is breathtaking. It is calming everywhere you look, surrounded by the sea view and water feature of the hotel. There are two restaurants in the hotel. Both are okay. Fresh ingredients but not the best menu. I tried the veggie burger and it wasn't as good as i expected it to be and same goes with the salad. The thai food is great. Activities : They have a private beach club that you can go but other than that there are not many activities provided within the hotel area as activities like yoga, kick boxing, village tour are limited. The hotel is far from any nearest town and shuttle service is not provided. I went for what i thought a yoga retreat but the instructor was not that good. Overall como will always be one of my fav hotel. The hotel service and the hotel itself is breathtaking. My wife and I celebrated our one-year wedding anniversary here recently and it was our second stay. We stayed longer this time and was able to enjoy the activities e.g. yoga, private island, cooking class, etc. The staff and rooms were lovely, but the breakfast spread can be improved. The food from the Thai restaurant is better than the Italian (although we did not have Italian this time as we did not fancy it the last time). It was an awesome hotel. The only issue was the check-in where hotel staff informed that Agoda only booked a bay view room with them while our booking was a bay pool suite. We were made to call Agoda on the spot using overseas call to clarify however we were unable to reach Agoda customer service after holding the line for more than 20mins. We were rather upset and hotel decided to move us to Bay Pool Suite 1st while they clarified with Agoda. The service recovery was ok however it did dampen our mood. 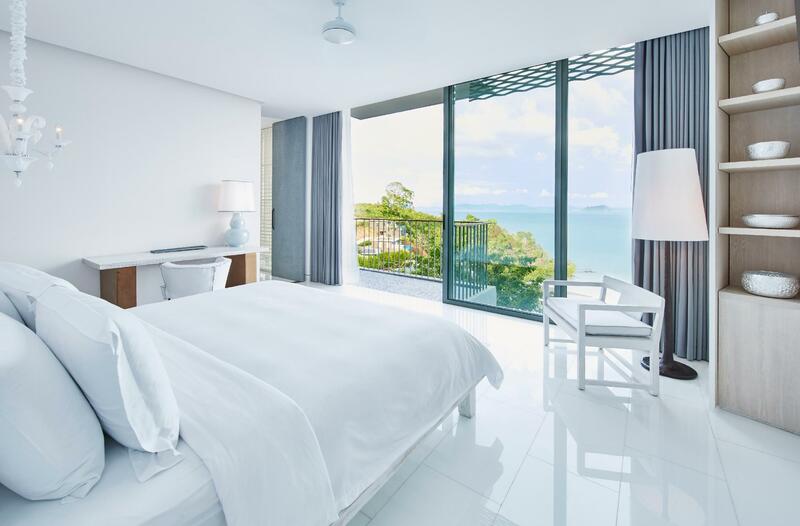 Location, was slightly far from the main Phuket City however because of it, the hotel is surrounded by amazing views of the surrounding islands. The view from our pool was breathtaking. The hotel interior decor is simplicity at its best, and the combination of beach furniture really relaxes and is comforting. The Staff were wonderful, helpful, and informative. The food at the restaurants are all amazing, as they do focus on more health conscious food choices. The activities provided by the hotel also makes the hotel experience great. There is only one thing I am slightly bothered by, it is the fact that the lift (to get to the room which we strayed at) is very plain concrete almost creates the feeling of industrial building. However, I have not stayed at such an amazing hotel, with breathtaking views and delicious foods, and the yoga classes experience makes me feel like we had a relaxing yet productive holiday. Absolutely loved it. The view is amazing, the spa is one of the best I know, the room is really comfortable, our kids love the kids club, the food is really good... the perfect place and it’s the 3rd time we come back... too bad the choice of the como shambala menu is not existing anymore. Only 2 or 3 special dishes are available now. Hope the standards of the hotel will be as excellent as the beginning. The breakfast selection and quality of the food is amazing. View at the infinity pool is worth every penny. 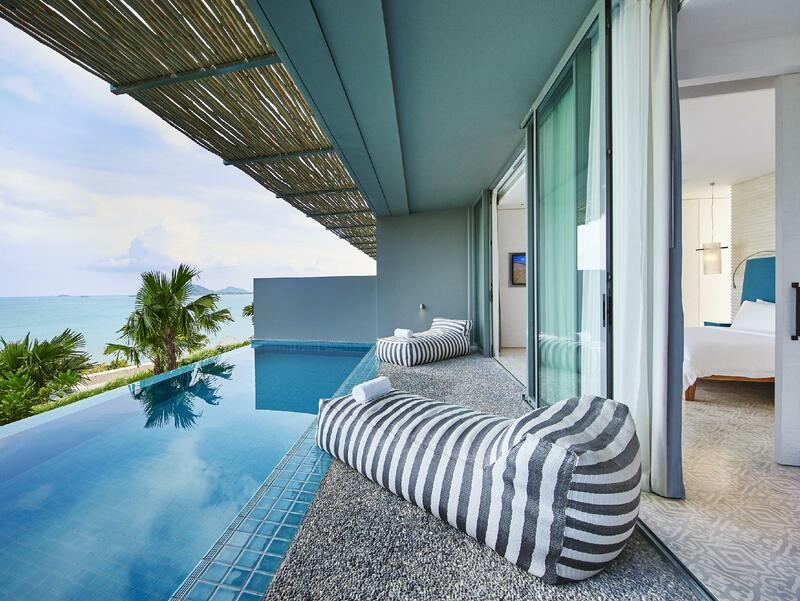 Location of the hotel is tucked farway from the hustle n bustle of central Phuket. Recommended for those in need of a quiet getaway. However, there are only 2 restaurants within the hotel hence the food choices can get boring after a while. Pros: The room, the view, facilities are beyond expectation. You get to go to their private beach club where you can enjoy free kayaking or paddle board. There are many selection for breakfast - very impressive. However, I had experienced some issue which i hope it will goes to your attention so the hotel can do it better next time. The air con in my room had problem so i called the reception and they sent the technician up to fix it. It took them about 30 mins to get it done - which is bearable. but when i came back 3 hrs later, it was still hot. so i called them again - at this point i feel like they need to take an action like offer to change me a room so i don't have to wait but they didn't. The other technician came up and took him awhile to tell me that it couldn't be fixed anytime soon so i need to change the room. I was just expected some prompt action from a 5 star hotel. Amazing and top notch service, one of the best. Good spread for breakfast buffet and best salad bar. The SPA facilities are great..very competent staff and service. Food options are limited given its secluded location but drinks are delicious. Would definitely return. we stayed here for 4 days, and did not leave the resort at all. the facilities were wonderful, the food excellent, and the service was amazing. i was pregnant and the staff went out of their way to make things comfortable for me. the spa treatments were specially catered for pre-natal me and i enjoyed myself thoroughly. Totally amazing stay with COMO. This is my 2nd visit to COMO Point Yamu but my first time in their villa. The villa stay was an outstanding experience. 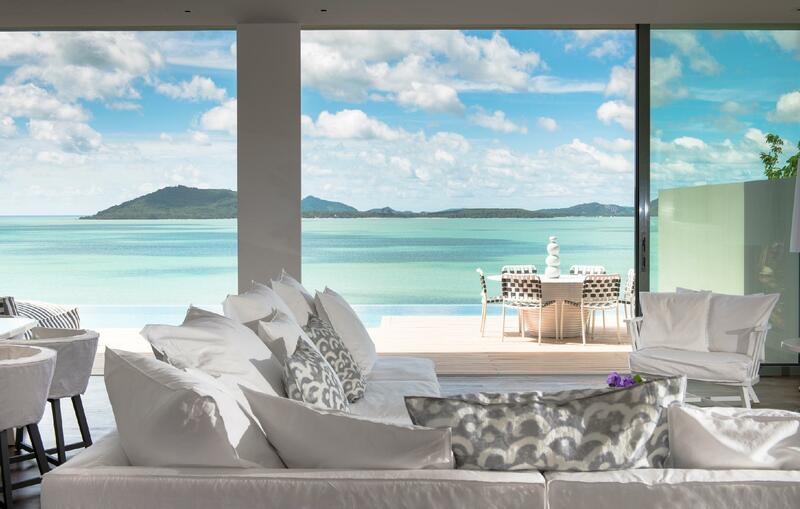 Gorgeous view + perfect infinity pool + amazing service from the villa butlers Pom and Nicky. 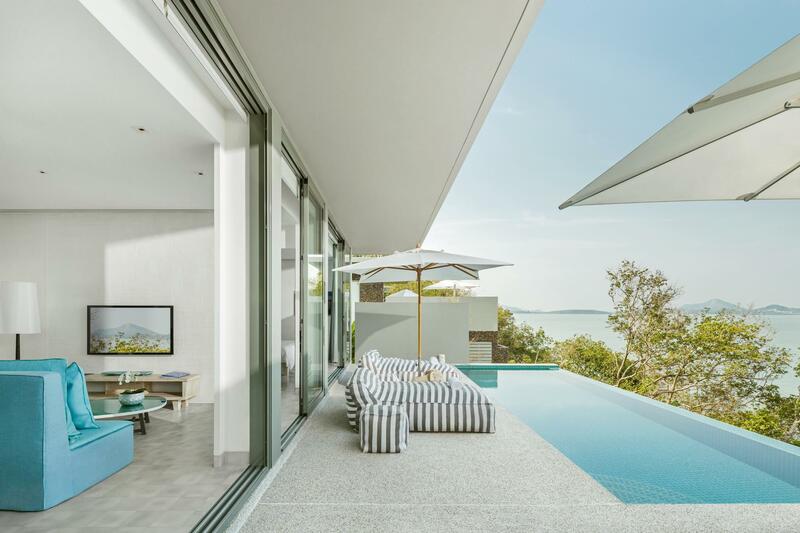 The villa offered free laundry services (5 pcs per day per person), free mini-bar items (refilled daily) and free afternoon snacks delivered daily. I wasn't that impressed with the Thai restaurant in the hotel (overpriced, small portions and not that great), but the in-room dining options were sumptuous. Staff all around the property were very friendly and carried themselves very well. Location of Point Yamu is a little isolated - everything is at least 20 to 30 mins away - but we didn't need to travel out much at all. We had an excellent time staying in a two bedroom pool villa. The staff were friendly and very accommodating. Inclusions were very good including yoga, free mini bar, airport transfer and afternoon snacks. Can’t wait to return! Love the place - the Italian design of the resort is food for eye. Love Como staff - very Friendly n attentive. Love the food - having spend the whole time in the resort, the food in Como is really nice. Love the ambience - perhaps it’s Low season we went, the place is quiet n tranquil. Overall, a little pricey but it’s worth to pamper yourself for being there ! They have the greatest selection of breakfast for babies and kids. I’m so impressed of it!! Staff are super friendly and helpful. Overall everything is good. The only thing is that the resort is pretty quiet at night. It will be great if they can have live singing performance with themes like Jazz and etc. Excellent room, Very spacious bathroom, Top Notch facilities, Wonderful Breakfast, Beautiful pool, Mind blowing view from the hotel, Very comfortable stay. Loved the fresh fruits and snacks that was served everyday as well as their make up room policy twice a day. Thank you Como Staff for arranging lovely bottle of champagne & chocolates & cakes for our anniversary. Loved every minute of our stay. Cant wait for our next stay at Point Yamu by Como. I highly recommend this hotel. A good resort for those who love sea view. Staff here is very friendly, helpful. After we check out, we still have plenty of free time as our flight is at night. The resort still let us use all the facilities after we check out. There's also a nearby restaurant called Breeze (at Cape Yamu). It's a french homemade food by a Canadian chef named Alex. Pricey but it's worth to try. Super baby-friendly hotel. We asked for baby cot and they provided a real cot, not travel cot. They also provided, without us asking, a baby bath and toiletries. Our baby was not on solids yet when we visited, but we saw on the menu complimentary and yummy-sounding baby meals. Definitely going back again with our baby. I have always love Como hotels. This is my second time to Phuket and first time staying at Como Point Yamu and love everything here especially the Phang Nga Bays view. The hotel is located a little far from the airport (30mins) but that is what we intended as we would like to explore a little further. The hotel is less crowded and quiet in which we loved it. Thai food here is delicious and it was under Naam (same as the one at Bangkok) but a little pricey. There is another italian resraurant in the hotel too and the food served is delicious too. There is a private beach belongs to Como in which the travelling time from hotel takes about 30mins but the hotel will provide the transfer. We love the beach and we spent about 3 hours there relaxing and had lunch there before heading back to hotel. we always love the breakfast served at Como as on top of the selections of salad, bread, fruits , cereal and yogurt they do serve a selection of breakfast menu which you have to order and it is hot from kitchen. We engaged the local ground tour arranged by the hotel to Phang Nga Bay on our second day. The tour (Siam Adventure) was great, safe and reliable. The tour was managed professionally by the local tour centre and service was great (as we had bad experience in our stay with other hotel). Overall we had a memorable and enjoyable stay with Como Point Yamu. What I loved about this hotel is the airy design and spectacular views of the surrounding islands and the complimentary boat ridento ita Como Beach Club on Naka Island..! Comfortable bed great in room amenities and wonderful smiling staff. If I was to make some criticism it would have to be the breakfast could’ve been slightly better in terms of execution. Over all a wonderful hotel. We stayed there for 5 nights and it was excellent. Pity that it rained a few days but other than that all was good. The private beach was only alright, not much snorkelling can be done as the water is murky. Food at the hotel was ok, though I wish there were more breakfast choices. Relaxing environment, secluded and away from the bustling crowd in patong. Spacious rooms, friendly staff, food in the restaurants were all delicious! Note that prices are steep compared to local thai food that one can usually find in local store but totally worth it.There are daily activities organised by the hotel to keep you busy. Overall would recommend!